It's interesting how sometimes a work of art will travel around the years (or in this case stay put) before it finds a home. Frida Kahlo Inside a Washington School Painting (Morris Louis) was done as an art school assignment for Prof. Alden Mason's painting class at the University of Washington in 1980. 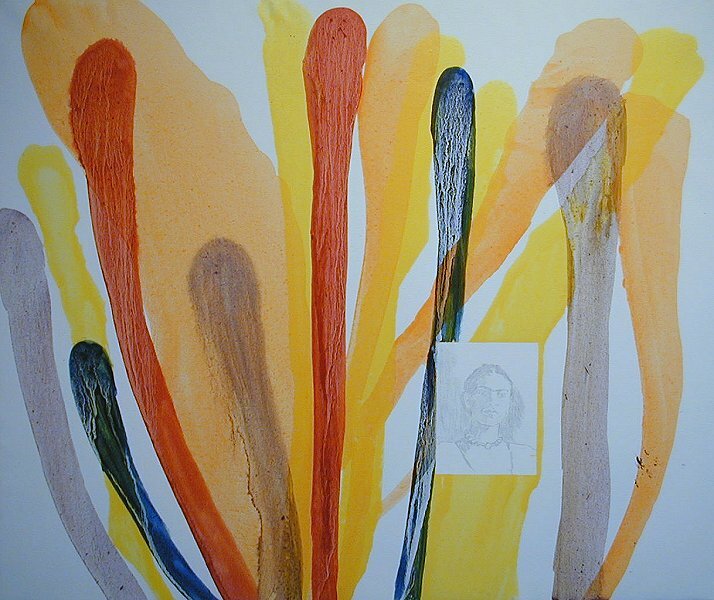 In the piece, my obsession with Kahlo peeks out as a pencil portrait within the abstract work. This piece was part of the Passion for Frida: 27 Years of Frida Kahlo Artwork that I had at the original Fraser Gallery in Georgetown over a decade ago. Now out of the blue, a collector in New York sees it, loves it, and tomorrow the work will be on its way to a New York City apartment!